Homemade Pineapple Coconut Yogurt is a delicious, good-for-you breakfast, snack or light lunch. With just 2 ingredients and some patience, you will feel so satisfied that you made this yogurt all yourself. If you’re a product ingredient reader like me, you will see that there are so many unhealthy ingredients that you don’t needed added to fruit yogurts that you can buy in the store. This is the reason I like to make my own. 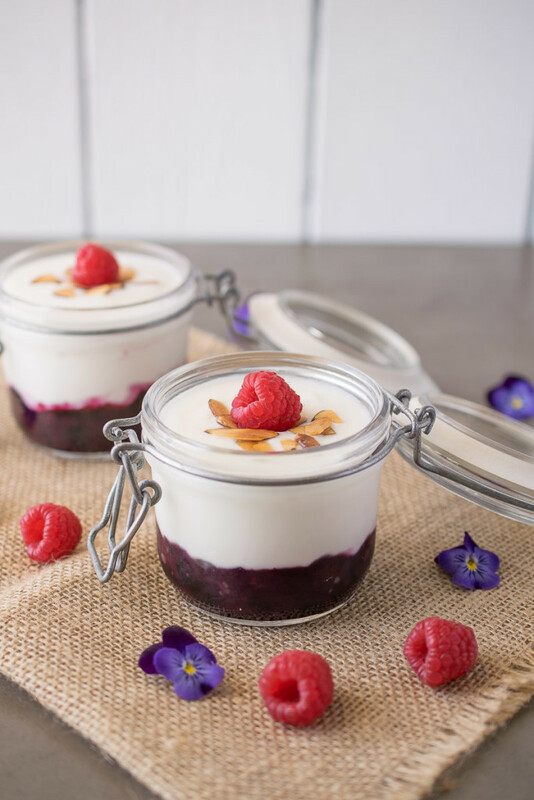 I’ve partnered again with Dole, and it is their delicious pineapple tidbits that are stirred into to this homemade yogurt to add fruit and natural sweetness. Unsweetened shredded coconut is also added for a delicious flavor combination (pineapple and coconut are so good together). The coconut adds a little crunch and just happens to be a superfood. Bite-size chunks of all-natural pineapple come in 100% pineapple juice with no added sugar that is rich in vitamin C and enzymes that helps with digestive health (I will be talking more about this). It is also much more convenient that having to cut and break down a whole pineapple. Most of us are detoxing after our holiday indulgences. Detoxing doesn’t have to mean depriving yourself of solid foods, for me, it’s more about eating the right foods. 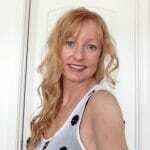 As I mentioned above, I want to talk about digestive (or gut) health. The word ‘gut’ is not one of my favorite words, but gut health (the term widely used) has become a hot topic lately because it is important for us to take care of our digestive system as it contributes to a healthy immune system among other things. Probiotics are the good bacteria (yes, there is such a thing) that is found naturally in yogurt. Flora is the collection of bacteria in our digestive systems and the probiotics help with the balance of the flora between the good and bad bacteria. Pineapple is not only rich in vitamin C (which is great for an immune boost), it also has dietary fiber which works in conjunction with the probiotics for digestive health. The coconut also has its own benefits of dietary fiber so this yogurt is a digestive health triple threat. Disclaimer: This Homemade Pineapple Coconut Yogurt is not intended to cure any ailments or be part of any diet. This information is simply information about the benefits of this yogurt for you to add to your regular eating plan. The probiotics in the yogurt come from a ‘yogurt starter’. These are cultures that are mixed with milk and a temperature is maintained until yogurt is formed, which is then refrigerated. The cultures help the fermentation process to create the good bacteria. There are 2 different yogurt starters/cultures, thermophilic and mesophilic. The thermophilic requires boiling the milk first, the mesophilic does not and that I the type I used for this recipe. What is amazing about making your own yogurt is you only have to buy the cultures once. After you make your first batch of yogurt, all you do is save a little and culture it for another batch. This can be repeated endlessly. 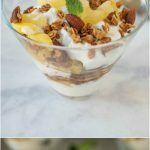 My favorite way to enjoy this yogurt is with homemade granola, parfait style as you can see being made in the video and in the photos. If you would like the yogurt sweeter, add some of the natural pineapple juice from the pineapple tidbits. Use pasteurized, not ultra-pasteurized milk. Do not use any metal bowls, pans or spoons, stainless steel is ok.
To keep the milk to the optimal temperature while it set, place in a sunny windowsill, wrap well in towels and place in a closed door microwave, or preheat a crockpot on warm, turn it off, place the bowl inside and cover with a lid. If you want to make this yogurt Greek style, drain and allow the liquid to strain out for a thicker consistency. If you’ve tried this Homemade Pineapple Coconut Yogurt or any other recipe on the blog, then don’t forget to rate the recipe and let me know it turned out in the comments below. I love to hear from my readers! Homemade yogurt with fresh pineapple and shredded coconut. To a large, ceramic or plastic bowl add the cold milk and mix in the cultures. Cover with a towel, secure the towel with a rubber band or cover with a pan lid. Place in a warm area, 70-77°F (158-170°C) for 12 hours. After 12 hours, check to see if it has set, it should pull away from the side when tilted. If not, leave for up to 24 hours, checking often. Once set, refrigerate for at least 6 hours. After 6 hours, mix in any whey (liquid) that has formed.